If you are one of the many forex traders who find it difficult to stay in a trend – help is at hand. Not once, but twice! Here you get two indicators for the price of one. The Quantum Trend Monitor will give you the confidence to stay in. With it, and the trend line, you will start to see your trading account grow, and emotional trading will be banished forever. It does what it says on the tin! 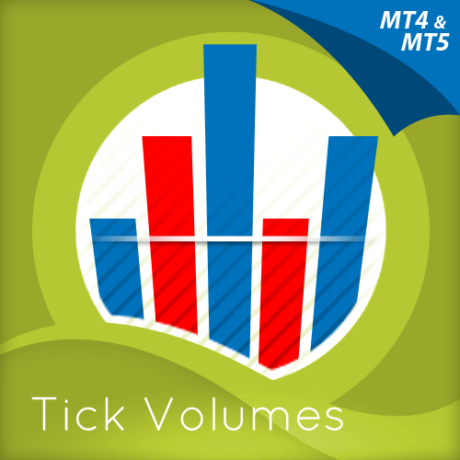 Monitors the trend to help you maximise your profits. Currency pairs never go up or down in a straight line. They rise and fall constantly, creating pullbacks and reversals. And with each rise and fall, so your emotions rise and fall. Hope, then fear, then hope. This is when the market will try to frighten you out of a strong position. It is when you are most vulnerable. But not if you have the Quantum Trend Monitor. And here, you even get two indicators for the price of one! The Quantum Trend Monitor has been designed to absorb these temporary pauses and pullbacks. It analyses the price action, and only changes to a transitional color of dark red or dark blue, if the trend is showing a temporary sign of weakness. 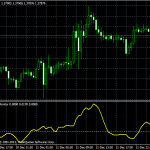 If it is a true change in trend direction, the indicator will change to a bright color, as the new trend develops. 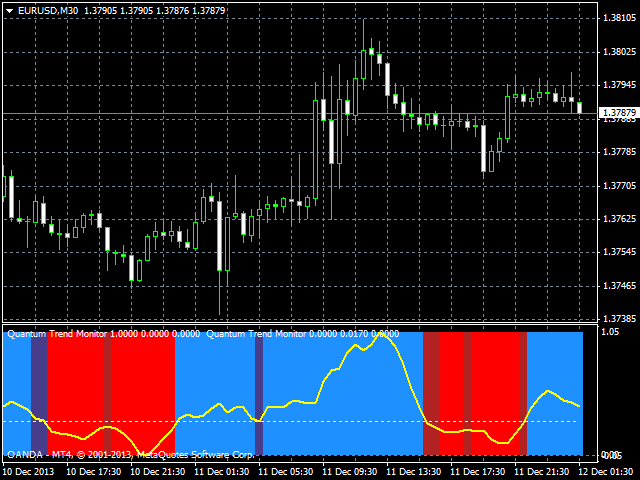 The Quantum Trends create the signal, its sister indicator the Quantum Trend Monitor then kicks in. Together, these two indicators provide you with the perfect tools to manage your position. No more fear, no more doubt, no more uncertainty. Watch your trading account grow, as you allow your profits to run – with confidence! As the old saying goes – two heads are better then one. Here we could say – two indicators are better than one! 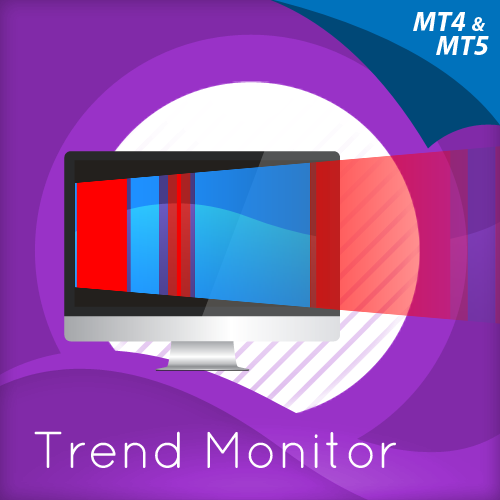 Now with the Quantum Trend Monitor and the yellow trend line, you have a complete picture of the trend. Staying in and maximising your profits has never been easier. 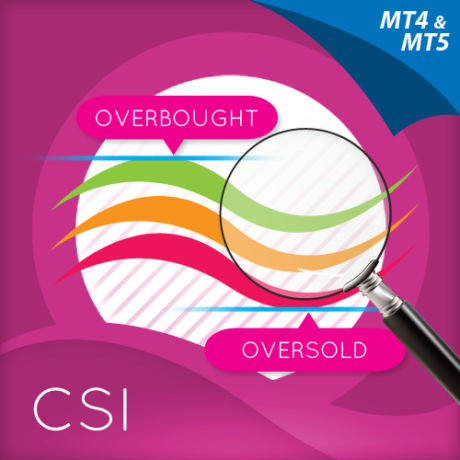 And finally.. this is the next generation of MT4 indicators and virtually all our indicators can be configured to suit your own trading style. Why? Well, you buy everything else to suit you and your personality – from clothes to cars – so why not trading indicators? 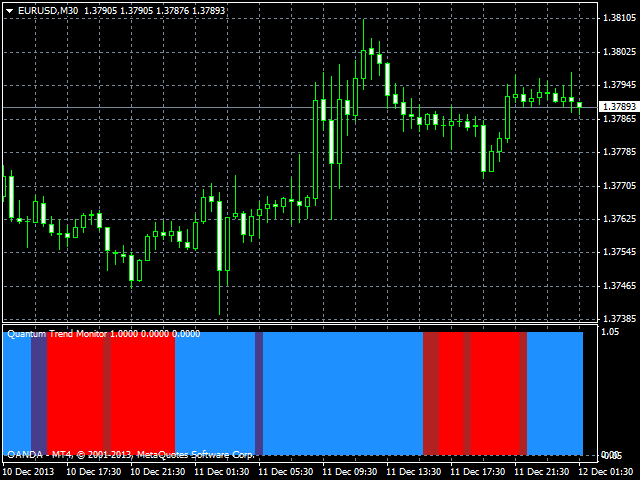 After all, as a scalping forex trader you will have different requirements to a swing or trend trader. You wouldn’t buy clothes that don’t fit, so why put up with indicators that cannot be configured!! Simple. 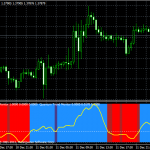 The two indicator works in all timeframes. Getting in is easy – staying in is hard. 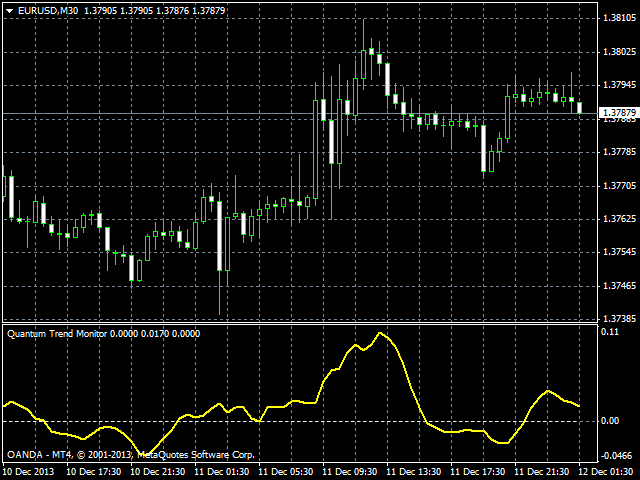 With the Quantum Trend Monitor and the associated yellow trend line, staying in becomes easy too!